Decided to paint today because I was feeling creative. I think this is my 6th painting. Since the Chinese New Year (It's the year of the Dog) is coming up and i practice a little feng shui, i came up with this. 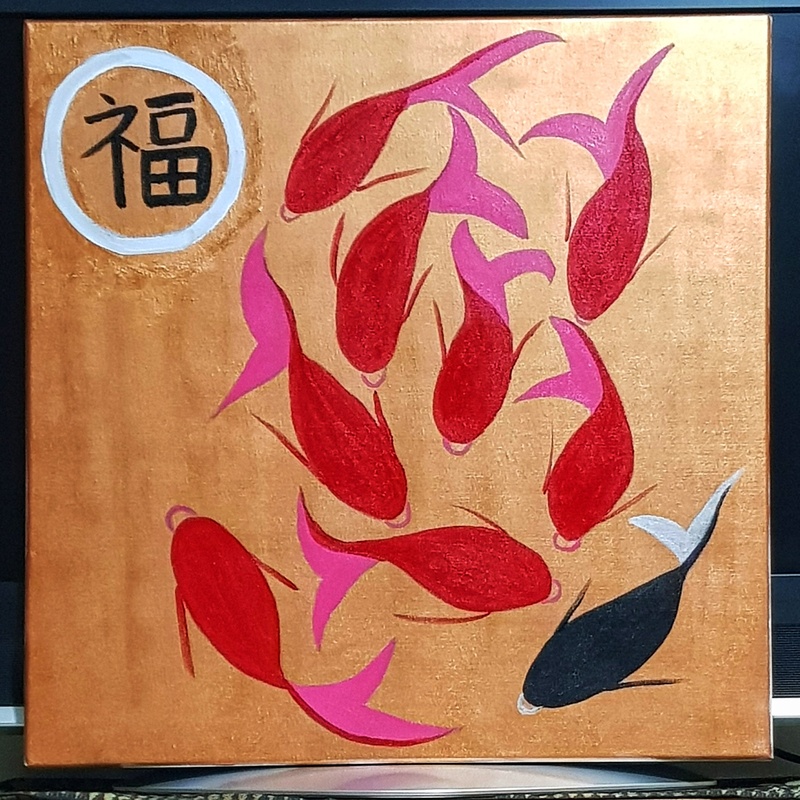 "9 Fish for Good Luck" (24x24) Chinese believes that the combination of eight red and one black fish, symbolizes prosperity, energy and good fortune. May this painting bring you lots of good luck this 2018! Thanks Maverick. Yes we all need Goodluck! That's cool！I also drew a fish today for good luck. Check it out if you have time .